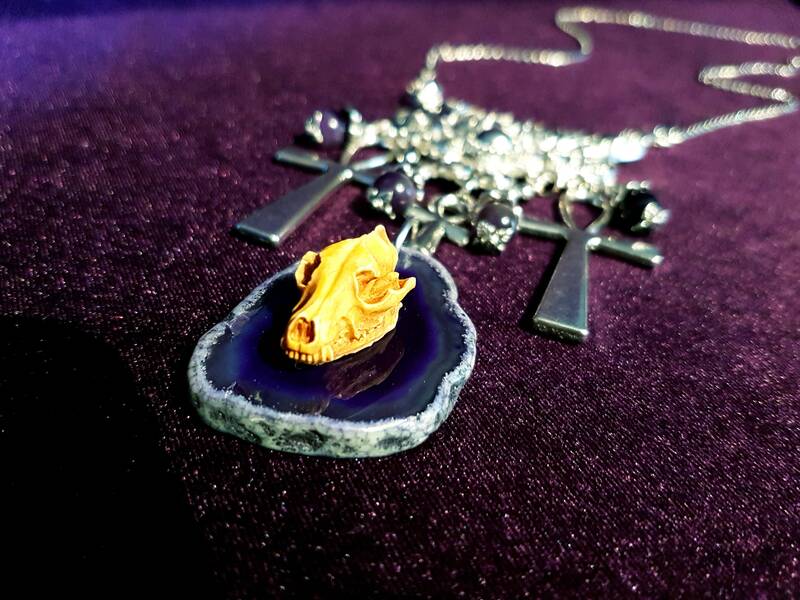 God of the Dead Necklace. 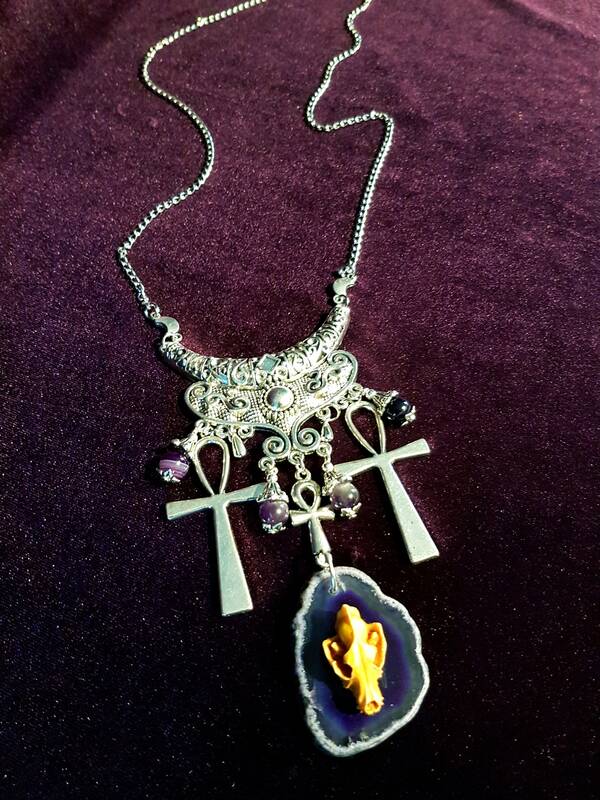 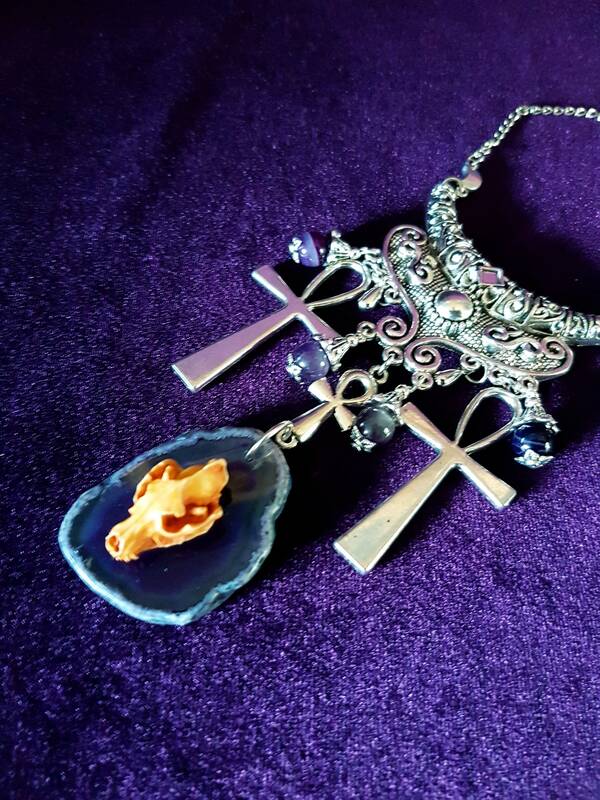 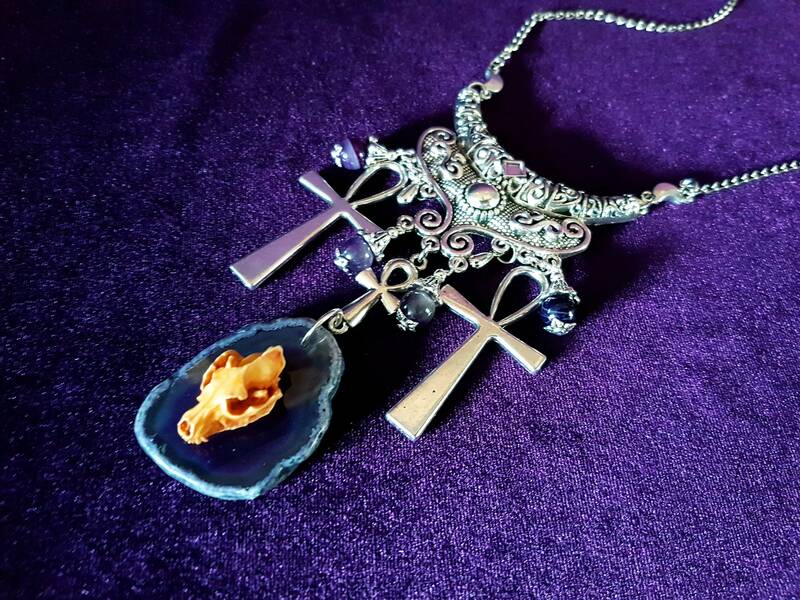 Handcrafted necklace inspired on Ancient Egyptian God Anubis. 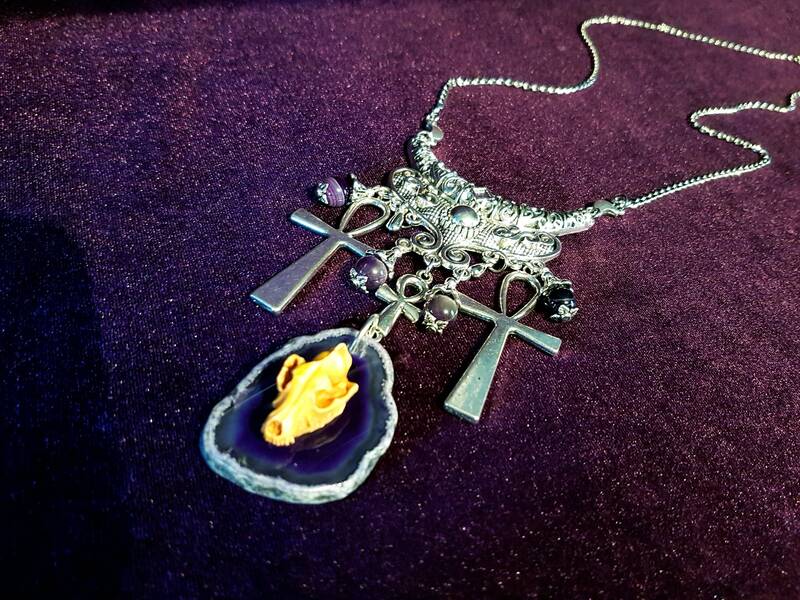 One of a kind, only 1 is made. 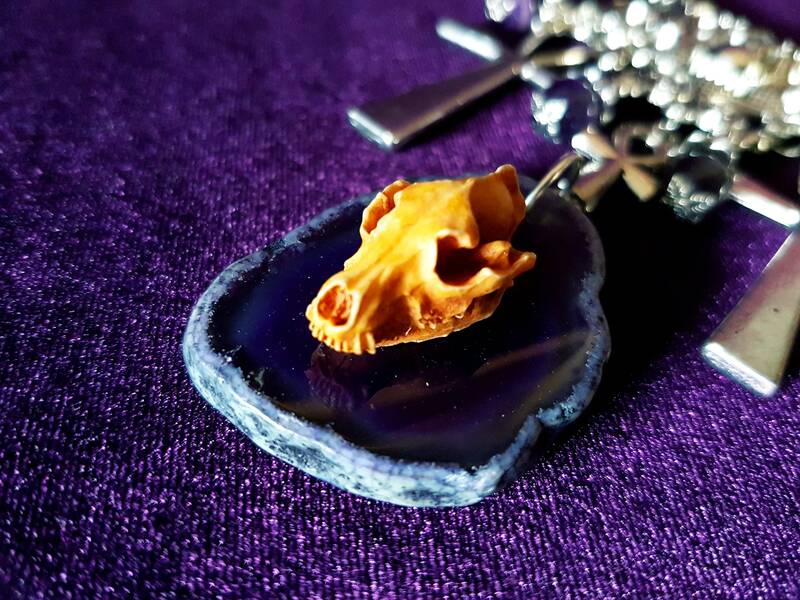 - Handpainted small Jackal skull made out of resin. 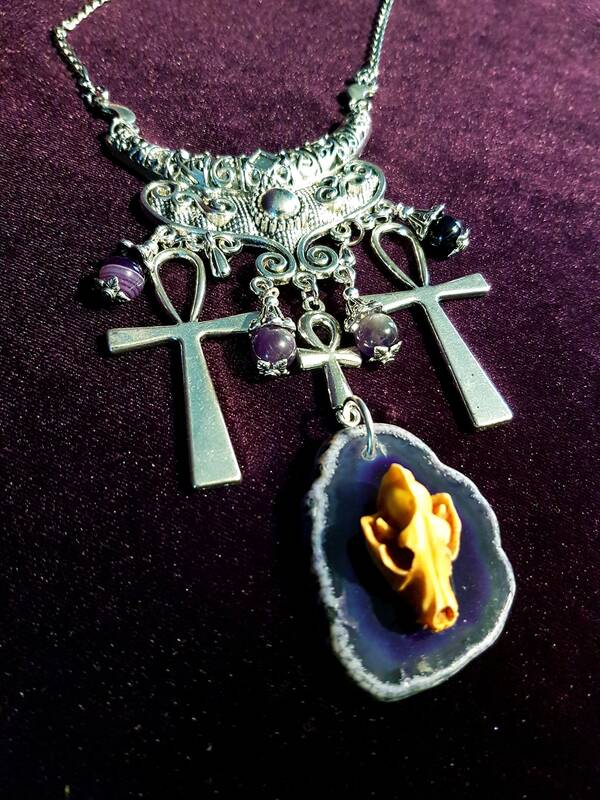 - The skull is fixed on a slice of purple agate gemstone. 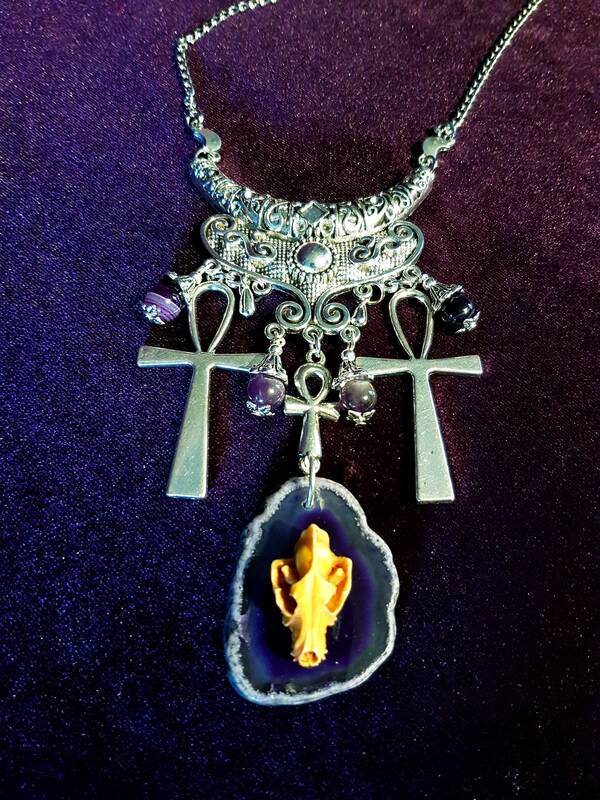 - Two 5cm big Ankh symbols. 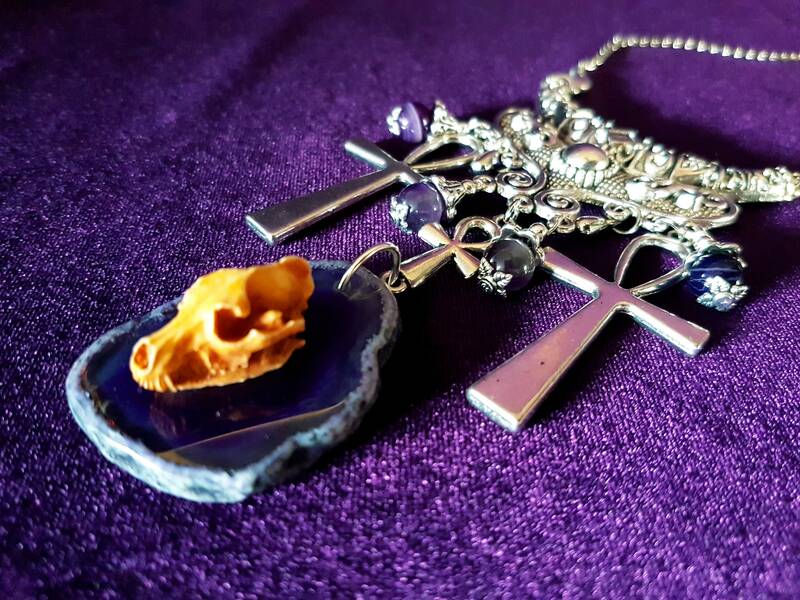 - Several Agate & Amethyst beads. 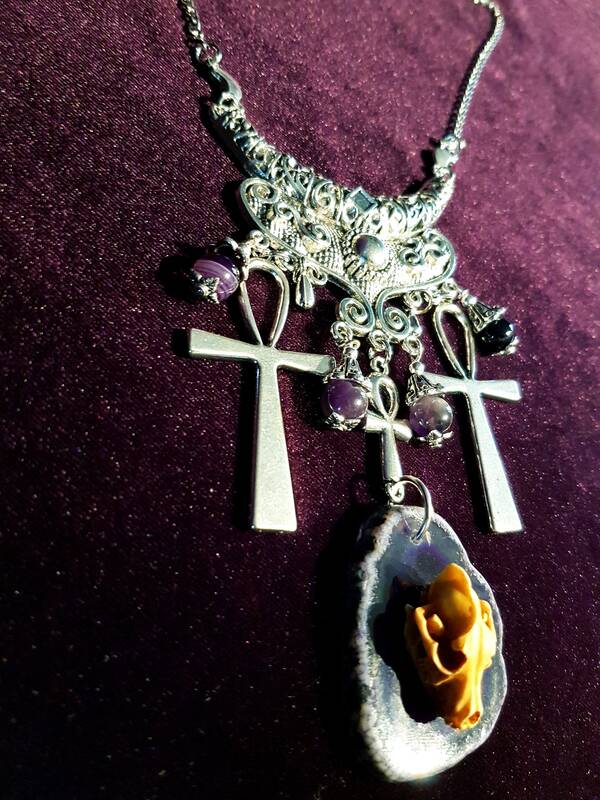 - 2 Mini crescent moons starting the chain.